Franciscan Villa – The Kitchen, Inc.
Franciscan Villa is one of The Kitchen, Inc.’s affordable housing communities for income-qualifying persons living at or below 50 percent of the median income. The Kitchen, Inc. and Sustainable Management, Inc. partner in the operation of the Franciscan Villa. Sustainable Management, Inc. manages the property while The Kitchen, Inc. provides food to those electing the meal plan. The meal plan consists of two meals (lunch and dinner) Monday-Friday. 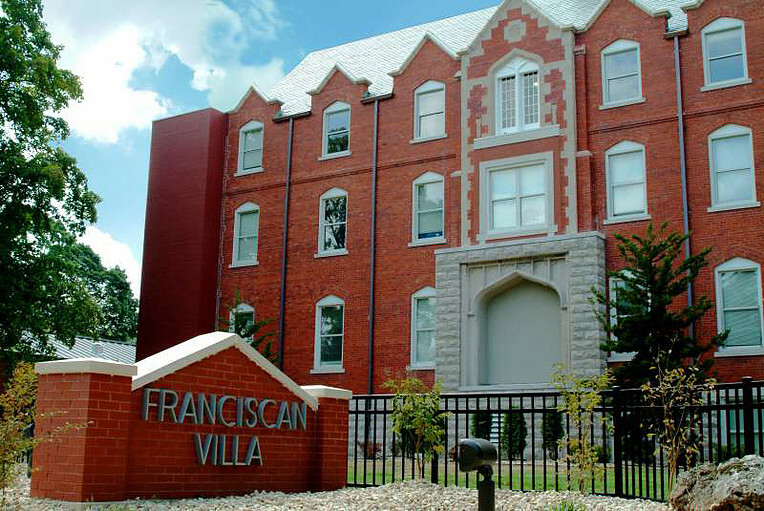 To learn more about this affordable housing option or to see if you qualify to live at Franciscan Villa, call (417) 869-5417. Franciscan Villa is located at 620 W. Scott in Springfield.